It’s in the Morinomiya Piloti Hall, where I also performed for the Doraemon stage play. 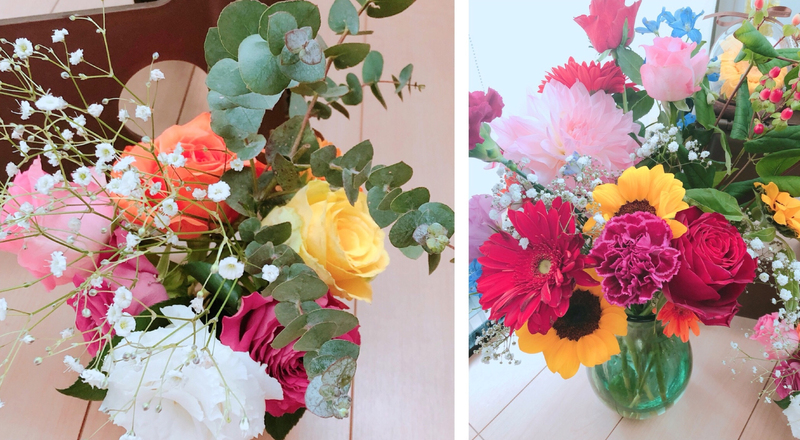 When we performed in Tokyo, I received flowers from Kokami Shoji-san! I was very, verrry happy. To be able to return to the same venue with a different production moves me deeply. Thanks to everyone I received letters from during the Tokyo and Hiroshima performances. 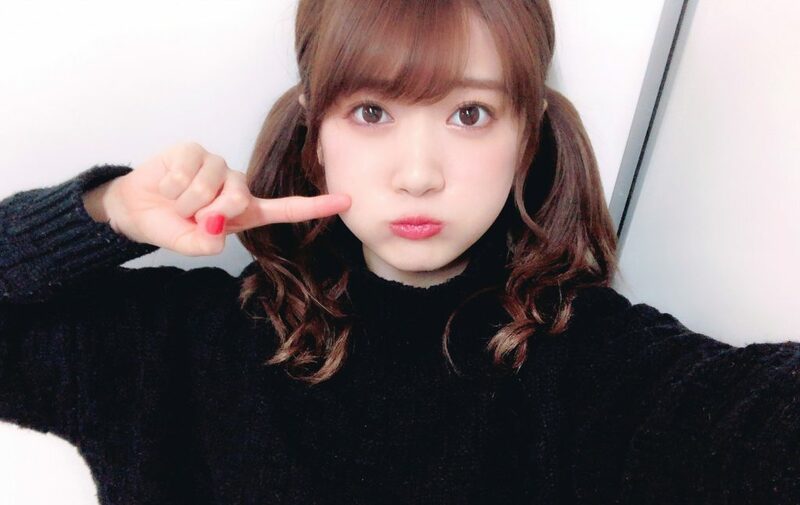 On 17th March (Saturday) there was a individual handshake event in Tokyo, and on 21st March (Wednesday) there was one in Kyoto! ↑ In Kyoto I had long twintails since a while! I am happy I could talk a lot about work with everyone. Being pleasantly busy right now, I think day after day is fulfilling, and I spend everyday full with energy! in order to be able to see more fantastic places together with everyone that always support me! This photo was taken the other day on a shooting location. 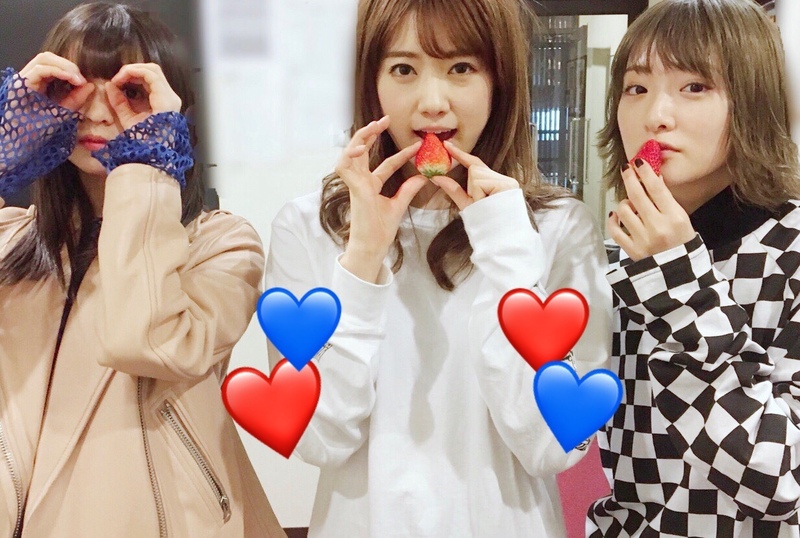 From the left it’s Asuka, me and Ikoma-chan. 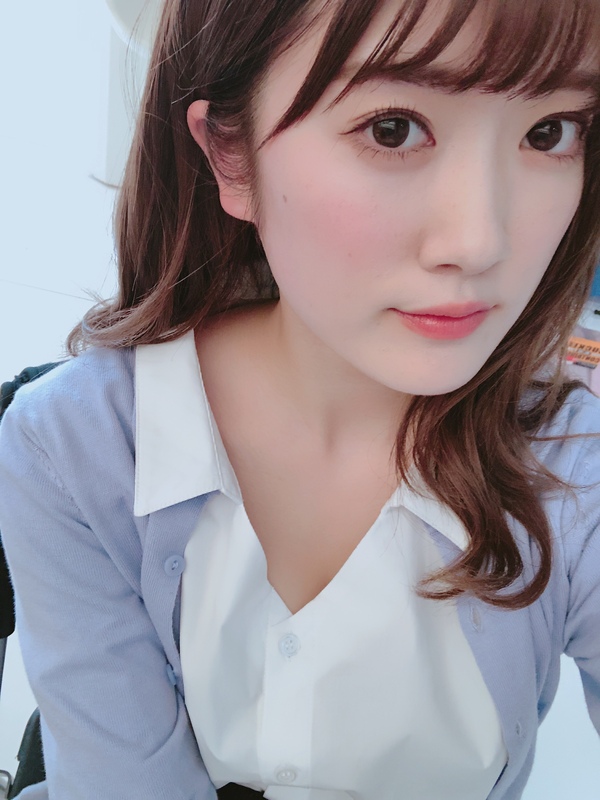 However, I will do my Nogizaka TV segment from Osaka!